Anker is a popular company for charging gadgets, and we’ve done many a review of their products. We talked about a PowerCore product back in February. Here’s another PowerCore product by Anker specifically for the Nintendo Switch. This is the PowerCore 13400 charger. The 9.2 ounce, 3.8 x 3.1x 0.9 inch device runs on a lithium ion battery. It has a capacity of 13400 mAh. The Anker website suggests making sure that the latest version of Nintendo Switch is installed before using the PowerCore charger. It recharges in about three and a half hours and charges 1.7 times. You can also charge your Nintendo Switch while the battery is charging. Along with the PowerCore 13400, you get a nice little travel pouch, a USB-C to USB-C cable, and a welcome guide. This portable device, smaller than a phone, will charge said phone through the 2nd USB charging port. You get up to 10 hours of extra playtime. An LED indicator on the back tells you how full the charge is at increments of 25 percent, 50 percent, 75 and 100 percent. At a cost of $69.99, this product is definitely something for the more serious player. You are getting the Nintendo Switch licensing and the Anker quality brand for that price, though. It is very helpful to those on the go- maybe for that long ride to Grandma’s in the car. 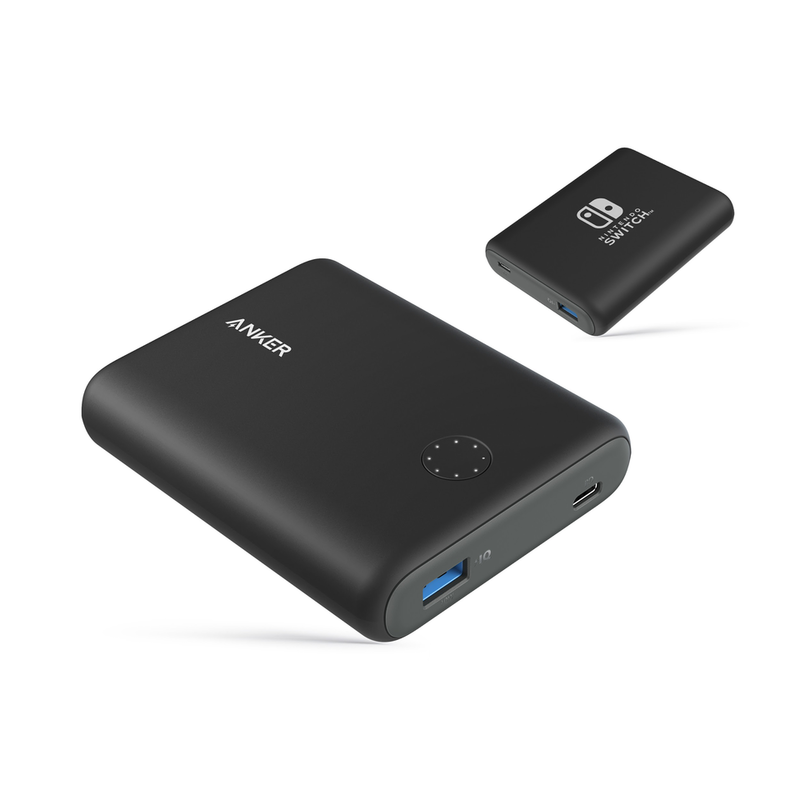 If this sounds like a deal to you, the PowerCore 13400 can be found on the Anker site. You can also buy one with 15 hours of battery life for a bit more. Thanks to Anker for sending us this free product in exchange for our unbiased and honest review. No other compensation was given, and our opinions are strictly our own.